Pillsbury, a flour brand by General Mills, has launched a new set of campaigns titled ‘Pillsbury Cookie Cake jo khaaye, fan ban jaaye!’ for its Pillsbury Cookie Cake. 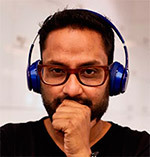 The 11-film campaign is conceptualised and crafted by Leo Burnett India. In the Indian Premier League (IPL), eight cities have their own teams and the rest 3,992 cities of India do not have a team to call their own. So, this IPL, Pillsbury Cookie Cake gave the rest of India their own team to cheer for, brought together by Royal Challengers Bangalore. General Mills India has taken the principal sponsorship for Royal Challengers Bangalore. The brand, with Royal Challengers Bangalore, has partnered for new IPL campaigns featuring team captain Virat Kohli. The main campaign is set in various cities that don’t have their own teams. The TVC is about people in these cities coming up with the craziest and most bizarre excuses as to why they support RCB while the real reason is Pillsbury Cookie Cake.